*Editor’s note: Everything in this article is speculation, all evidence circumstantial. Who Was He? Sayyed al-Khoei was a widely respected Shiite religious figure in Iraq who fought against the Saddam Hussein regime in the 1991 Shia uprising. He was forced to flee Iraq and settle in London, where he worked for the al-Khoei foundation to give the Shia a voice in the international community. After the US invasion of Iraq in 2003, al-Khoei returned from exile and was promptly murdered. He was hacked to death by unknown assailants and died at Moqtada al-Sadr’s front door. When Sadr learned that al-Khoei was mortally wounded and bleeding to death on his doorstep, Sadr reportedly ordered is men to have al-Khoei moved to die somewhere else. Best Guess Moqtada al-Sadr’s followers possibly killed al-Khoei in order to eliminate a rival of their leader. It’s unclear whether Sadr ordered al-Khoei’s murder, but Sadr’s reported treatment of the Sayyed after learning that he was dying in front of his house raises suspicions. Implications of Death Al-Khoei was considered a to be a moderate and respected voice among Iraqi religious leaders. His shocking death foreshadowed the violence Iraq was about to descend into. 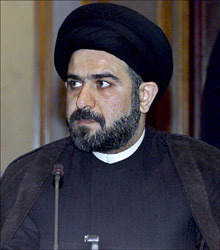 Had al-Khoei lived, he may have been able to prevent the cycles of violence that plagued Iraqis from 2003 to 2007, in which thousands were killed. Who Was He? Azzam was a Palestinian jihadi who led his forces against the Soviet occupation of Afghanistan. He was killed by a roadside bomb. Best Guess Mossad is a likely suspect because, by 1989, the war had been won by the jihadis in Afghanistan, and Azzam was a strong advocate for the fight to be taken to Israel next. Implications of Death Azzam was a mentor of Osama bin Laden throughout the anti-Soviet jihad. By brining bin Laden to Afghanistan, Azzam introduced him to the people and the land he would later use as his base of operations from which to attack the United States. Azzam’s opinions were published and widely read among jihadis. Who Was He? Musa Sadr was an influential Shiite cleric who can be credited with starting the current Shia revival in Lebanon and throughout the Muslim world. Sadr used his influence to build hospitals and schools and established badly needed social services in poor Shiite neighborhoods in Lebanon. Sadr went on to form the Shiite militia Amal. Best Guess Muammar Qaddafi is the main suspect, as Sadr disappeared on a visit with the Libyan despot. Sadr may not technically qualify for this list as he might still be alive, but it is highly unlikely. Out of the recent chaos erupting in Libya came conflicting reports about the fate of Imam Sadr, with one saying he was being held deep in a Libyan prison, the other saying he had been killed and buried out in the desert. Sadr would be 82 today. Implications of Death Sadr was a uniting voice in Lebanon, as well as an advocate for respect and harmony between country’s multiple religious sects. It’s been said that had he lived, Lebanon would have avoided the bloodiest parts of its Civil War (1975-1990). 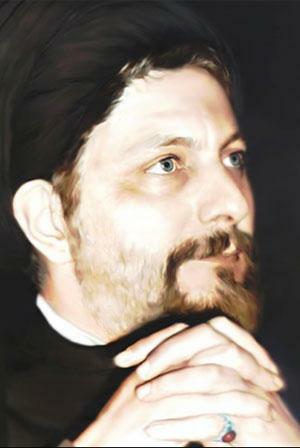 Even today, the mention of Sadr provokes a strong reaction among Lebanese Shia. His posters still adorn walls in every Shiite neighborhood throughout Lebanon as believers wait, one way or another, for his return. In the recent measure passed by the UN Security Council regarding Libya, Lebanon was one of the few Arab countries that supported Western intervention. This is still a raw wound for many in Lebanon. Who Was He? Considered an arch-terrorist by Western intelligence agencies, Imad Mugniyeh was a Palestinian Shiite from southern Lebanon. He started out in the PLO, eventually working his way up to become a bodyguard to Yassar Arafat. He has been linked to many events, including the 1983 bombing of a US Marine barracks in Beirut, the 1985 high jacking of a TWA airliner, the 1992 bombing of the Israeli embassy in Argentina, the 1996 bombing of Khobar Towers in Saudi Arabia, and numerous kidnappings throughout the Lebanese Civil War. 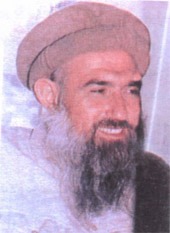 Mugniyeh was involved in the formation of Hizballah in the early 1980’s. He was a particularly shadowy figure, even for the world of international terrorism. He worked with Hizballah, the PLO, Syrian intelligence, and Iran’s Revolutionary Guards (IRGC). Mugniyeh is usually remembered as a member of Hizballah, but that may not be entirely accurate. He worked closely with the IRGC and his position may have been something closer to the Ayatollah’s black ops commander; Tehran (or Damascus) could use him when they wanted, but Hizballah would get all the blowback. Mugniyeh had been in hiding for the better part of 15 years when he was killed, and his use by Hizballah during that time is questionable. This coincides with the transition (phasing out kidnapping and international terrorism while focusing on Israel) the group was undertaking after Hassan Nasrallah was named Hizballah Secretary General in 1992. He was killed by a car bomb. Implications of Death Few outside of the PLO/IRGC/Hizballah community were sad to see him go. Hizballah continues to vow revenge for the “martyred” Mugniyeh. Although Nasrallah has made many public statements to the contrary, it’s conceivable that Nasrallah, while saddened by his death, was slightly relieved by it. 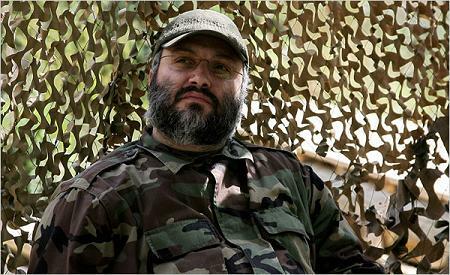 Mugniyeh represented a link to Hizballah’s ultra-violent past as an international menace, and his death removed a big hurdle for The Party of God in terms of legitimacy. Much more on Mugniyeh below. Who Was He? Hariri was a former Prime Minister of Lebanon who was assassinated on Valentine’s Day 2005 as his car passed through the Beirut seaside. He was a popular Sunni politician, a billionaire who was close friends with the president of France and the King of Saudi Arabia. During the latter years of the Syrian occupation of Lebanon, Hariri was growing in influence and represented an increasingly formidable rival to Syria’s President Bashar Assad. In Syria, Assad’s Alawite regime rules over a Sunni majority, and the last thing he wanted to see was a powerful Sunni political presence in Lebanon to challenge his authority. For Syria, a strong Sunni Lebanon is bad news. Best Guess My best guess is that Syrian Intelligence arranged the Hariri hit. They had motive (Hariri’s growing influence) and opportunity (Syria had thousands of troops and intelligence operatives stationed in Lebanon). It also seems likely that Hariri’s death is linked to that of Imad Mugniyeh, a theory I have not heard anyone else present. Syria is likely behind Hariri’s death, and soon after people connected with the hit began to turn up dead. 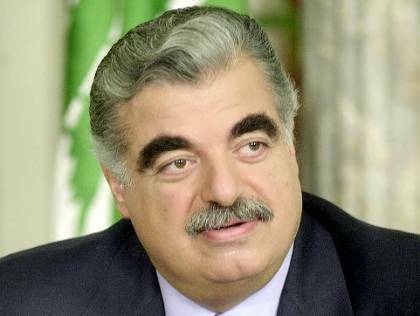 It’s obvious that whoever killed Hariri would want to cover their tracks. Furthermore, it is widely believed (as Hassan Nasrallah himself stated) that members of Hizballah would be named when the UN tribunal tasked with investigating Hariri’s murder releases its findings. Hizballah as an organization had little or nothing to gain by killing Hariri, and it is believed that Hariri had good relations with Nasrallah just before he was killed. It doesn’t make sense that “Hizballah” would kill a man whom the group was friendly with, but that doesn’t mean that “rougue members” of Hizballah weren’t involved. This is where Mugniyeh comes in, as there was no one more rogue than he. If you were a high level Syrian intelligence official in Damascus and you wanted Hariri gone, who would you use? The logical choice is Mugniyeh: as a black ops veteran, he has proven that he is capable, and as a man (rightly or wrongly) associated throughout the world with Hizballah, he provides plausible deniability, which is always important in an assassination. Also, Mugniyeh is believed to be behind the spate of assassinations of journalists and politicians that were critical of Syria that came in the mid-2000’s. Mugniyeh was living under Syrian state protection in Damascus when he was murdered. If the presence of the Syrian intelligence apparatus is strong in Beirut, it is omnipresent in Damascus. The Assad regime knew where Mugniyeh lived and he wouldn’t have been able to stay without permission. So why the change of heart from Assad? There are two, possibly three, reasons: One, Assad was likely concerned with the growing risks of harboring a known and widely-wanted international terrorist in the post 9/11 world. Two, he wanted to wipe out the mastermind behind the Hariri operation. And three, Assad was entering secret negotiations with Israel at the time of Mugniyeh’s death. What better way to eliminate a such a massive national security liability and offer a symbol of good faith to Israel than to turn over Mugniyeh to Mossad? Mugniyeh’s death always bugged me. He was protected in Damascus, and the intelligence services no doubt kept a close eye on him. In addition to Syrian intel watching out for him, Mugniyeh was also a security mastermind in his own right. He eluded capture for years and only a handful of pictures and almost no written records exist of the man. A guy like this isn’t taken down unless someone sells him out, and the only ones in a position to do so were Assad’s people. I keep coming back to it: if the regime in Damascus was behind the Hariri hit, who would they use? Most likely Mugniyeh, a man used many times before. The problem for Imad Mugniyeh is that he just became too much of a liability for Syria and it was time to go. Whoever ordered the hit on Hariri is likely the same person that arranged or allowed for Mugniyeh’s death as well. Implications of Death Lebanon still lives under the cloud of Rafik Hariri’s murder. After his death, massive protests erupted forcing Syria to end its 30 year occupation of Lebanon. It was a particularly tumultuous time for Lebanon, when people took sides with Syria or against Syria. This is still the dominant political fault line today. Rafik Hariri’s son, Saad Hariri, went on to replace him as the head Sunni politician in Lebanon. The UN’s Special Tribunal for Lebanon (STL) is still in the process of investigating Hariri’s murder, with findings expected to be released in the coming months. If Hizballah members are indicted by the Tribunal, the result could be a deeper, more serious rift between Sunnis and Shia of Lebanon and beyond. It’s not known who the STL will name specifically, but is unlikely that it will be major players. Maybe someone who drove a car or used a cell phone in the operation, but probably not whoever planned it and almost certainly not whoever ordered it. Though it’s unlikely, Hizballah may very well have been behind the hit- meaning that upper leadership, including Nasrallah, approved the operation- but like I said, that is not likely. In any case, Hizballah seems to be taking the fall on this one, even if against their will. Perhaps Hizballah members did participate in the hit, but that doesn’t mean they weren’t working at the direction of Syria. In this corner of the world, where sometimes the only way to get things done is with guns, bombs, and spies, who someone really works for is never quite clear. However, maybe that’s all part of the bargain for Hizballah: in exchange for money and weapons from Syria and Iran, The Party of God has to provide political cover for its generous patrons every once in a while. It seems to be a high price to pay.